On Tuesday 30th October, the Under 14 football team took on Wheatley Park in the 2nd round of the National Cup. The game started off quite evenly matched, with both teams seeing efforts go wide. DGS broke the deadlock with 10 minutes on the clock when forward Ellie White struck the ball into the bottom right corner. The goal boosted the team's momentum, and it was only moments later that Lily Norton found the back of the net to make it 2-0 at half time. DGS knew that the first 10 minutes of the second half were going to be vital; the team needed to keep their shape and remain disciplined whilst also looking to get another goal. Rebecca Agg had worked tirelessly all game down the wing and her efforts paid off as she crossed a pin point ball in to Ellie who leaped up and headed the ball into the back of WPS net. The next goal wasn’t so clean cut. A great run by Imi Hooper saw her clash with the goal post before the ball landed perfectly for Lily to secure her second goal of the game. 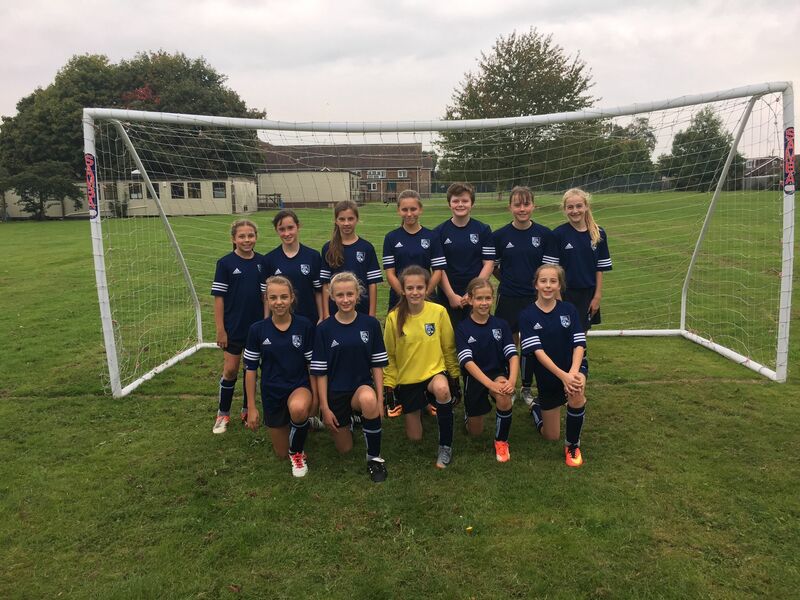 With just minutes left on the clock, Ellie secured her hat-trick and the team's 5th goal of the cup, which sees the team qualify for the third round of the ESFA national cup. 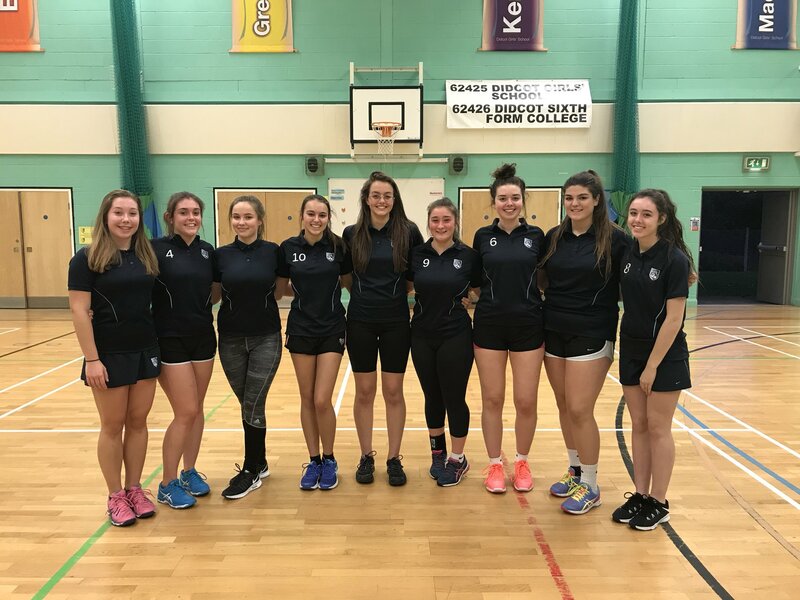 The team was made up of: Laura Millar, Bethany Davis, Faith Chewings, Isabelle Giesberg-Bamford, Millie Jones (captain), Melissa Owen, Lily Norton, Imi Hooper, Bethany Wright, Elizabeth Cairns, Aimee Hunt, Ellie White and Rebecca Agg. 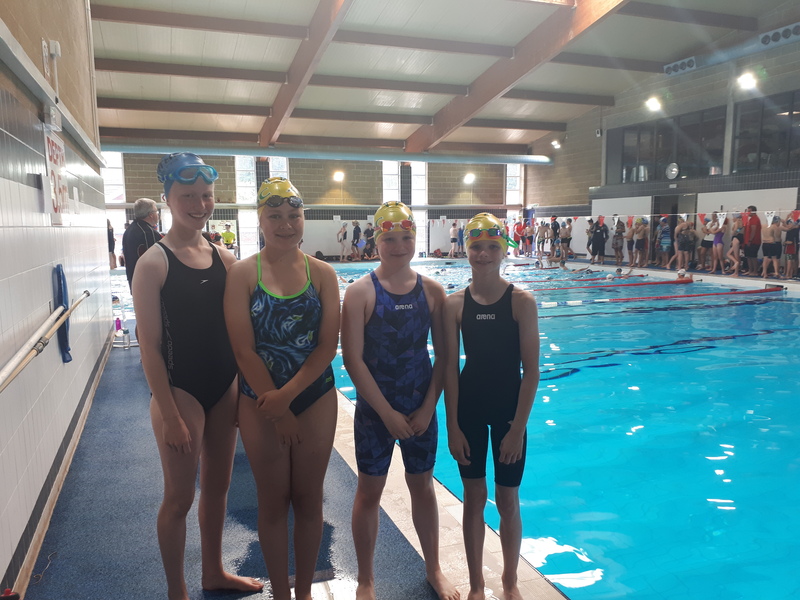 After the Year 7 Swim team's recent success being crowned South Oxfordshire Champions, they went on to compete at the Oxfordshire County Final. Unfortunately, two of the swimmers were unable to compete as they are away on a school trip, however Lucy Kidd and Lilli Roach stepped up to the mark and made up the team. The girls swam some great races, with Amber Collins-Freeman coming 1st in the Freestyle and Kelsey Sym confidently being placed 1st in the Butterfly. The team were awarded 3rd place out of 9 schools and brought home Bronze medals - well done, girls! 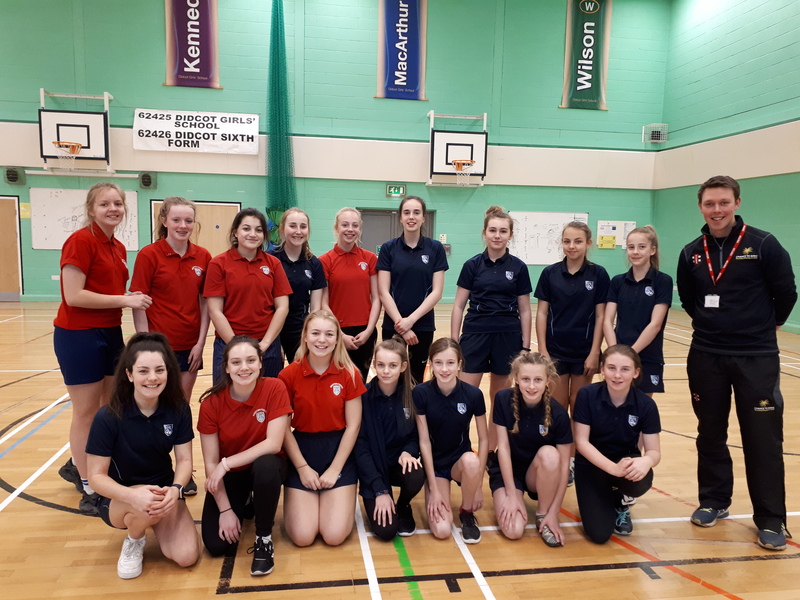 Following the taster sessions of basketball at DGS, Celena Appleby-Prince was approached to train with the South region Heat (Oxford) team and compete with the U14G. Her defensive performance in one tournament alone made her the league top scorer for defensive rebounds and runner up for defensive steals, and combined she has won the award for the most valued defensive player in the U14G south region Heat league! Following her second tournament appearance, she now has offers to train with the South England regional squad, and the Reading Rockets want her to play for them in the national league next season. On Tuesday 20th March, Oxfordshire Cricket ran a Young Activators Course here at DGS for all of our keen Cricket players in Years 8, 9 and 10. 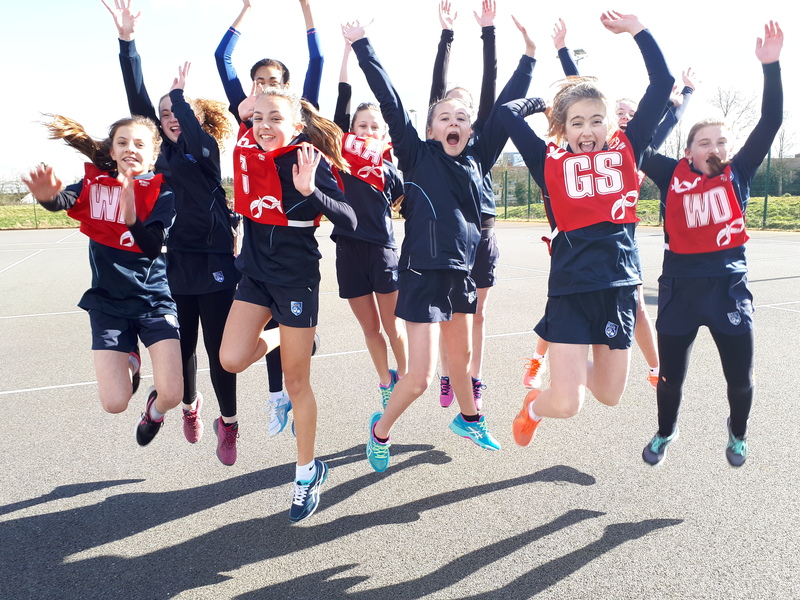 The course was an opportunity for the girls to focus on their role as a coach and official within the sport, with the vision to support local primary school competitions in the summer term. The day consisted of both theory and practical elements, and all 17 participants showcased their current cricket knowledge excellently, as well as gaining the important skills needed to be able to score and officiate the game. Students had a brilliant day being involved in a sport they love! Many thanks to George Setterfield, Oxfordshire Development Officer, for leading the course. We look forward to seeing how the girls can share their knowledge in the local community very soon! We played some really impressive netball, with lots of interceptions and defending, as well as some super shooting! We were undefeated in the tournament, and came 1st out of 7 schools. The team showed great sportsmanship and several of them were nominated as Players of the Match. Congratulations to Charlotte Lambert, Izzy Thrower, Summer-Rose Absolom, Chloe Cormack, Charlotte Taylor, Emma Park, Lily-May Carpenter and Steffi Harrison. 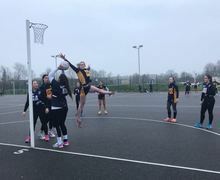 The team played some really impressive netball in the first round of games, with lots of interceptions, turnovers and super shooting! We were placed 2nd in our pool and qualified to compete in the semi-final against Headington School. It was a highly competitive game and the final score was 11-2 to Headington. The team showcased a quality level of netball today, earning themselves some fantastic results! We received some lovely comments from both officials and coaches about how well the team played, they really were fantastic DGS ambassadors. DGS were placed 3rd out of 16 schools in Oxfordshire, an outstanding result which the team should be extremely proud of! Congratulations to Charlotte Taylor, Emma Park, Lily-May Carpenter, Charlotte Lambert, Laura Millar, Rebecca Agg, Millie Jones, Katie Woods, Ellie Coster and Celena Appleby-Prince. 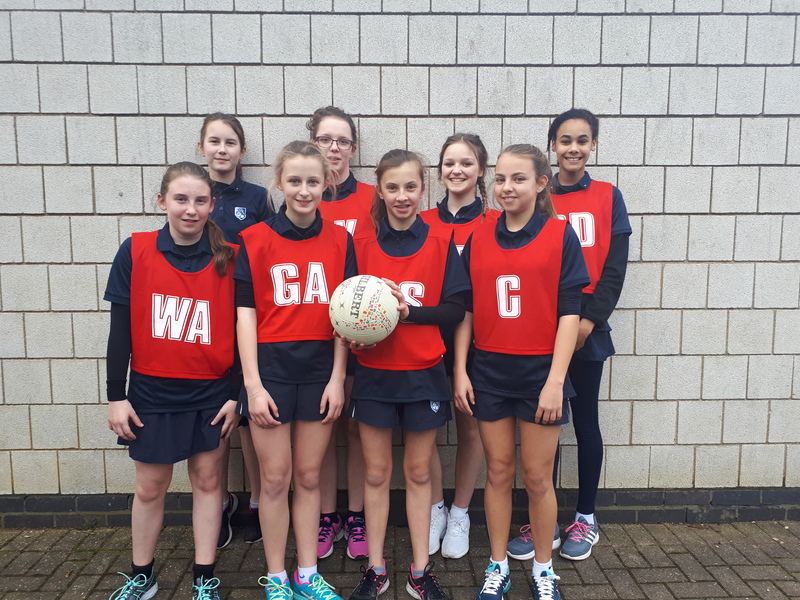 On 6th March, the Year 8 netball team took part in the South Oxfordshire Netball Tournament, in which we won all four of the games we participated in. These results meant that we progressed into the semi-finals against Wallingford School's A team, which we won with a score of 6-0, and qualified us to play in the final against Lord Williams's School. We were crowned champions and will now go through to the Level 3 competition. Didcot Girls School scored a total of 32 goals but did not concede any goals. Well done to the team, which consisted of Celena Appleby-Prince, Rebecca Agg, Ellie Coster, Laura Millar, Millie Jones, Katie Woods, Libby Smith and Libby Willis. The girls collectively chose a player of the tournament which was given to Laura Millar. The team played amazingly and were complimented on this by coaches from other schools. We scored a total of 32 goals, without conceding any throughout the course of the tournament, which we are all very proud of, and are ready to start training hard for the next round. 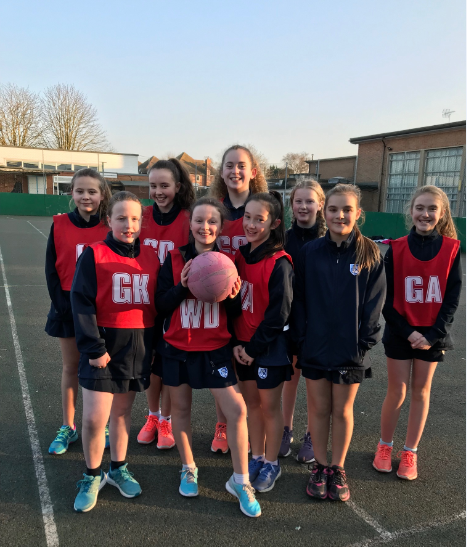 On Thursday 22nd February, nine netball players headed to Icknield School to play netball matches against Icknield School and Wallingford School. The match against Wallingford School was very successful with an overall win of 13-0. Our opponents gave us a great game and challenged us hugely to create space because they had both fantastic defence and attack. The team was made up of Charlotte T Emma P, Steffi H, Lily –May C, Charlotte L, Chloe C, Kacy, Summer-Rose and Izzy T. Thank you to Mrs Reynolds for taking us. Everybody had a great performance with displays of great agility throughout the court, as well as some brilliant attack and defence work. 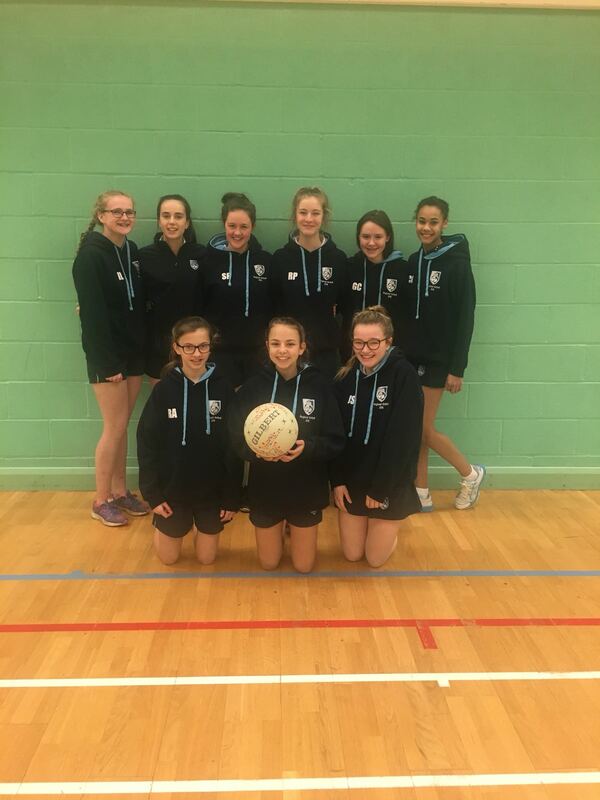 On Tuesday 19th February, the DGS Year 10 netball team travelled to Wallingford School to compete in the annual netball tornament. The girls played their best despite the cold conditions and overall came 5th out of 7 schools from around the area. A brilliant effort from all the girls, in particular Georgia Evans and Phoebe Thorpe who received Player of the Match over the course of the tournament. Well done girls for an excellent afternoon of netball! As you can see from the results, the team had a fantastic day of netball and were placed 4th in their group. By no means were the girls outclassed, the games were close in scores and very competitive. The team worked extremely well together, creating good links and options on court. They really enjoyed the day, which is always a bonus! The PE department are extremely proud of the team's success and the progress that individuals have made. The girls have been a pleasure to coach - keep up the good work! Many thanks to all of our wonderful supporters on such a wet and miserable day, the girls really appreciated the support! Congratulations to Rosie Park, Phoebe Maslen, Izzy Langley, Gen Carey, Seren Fullbrook, Jorja Smith, Laura Millar, Rebecca Agg and Celena Appleby-Prince. 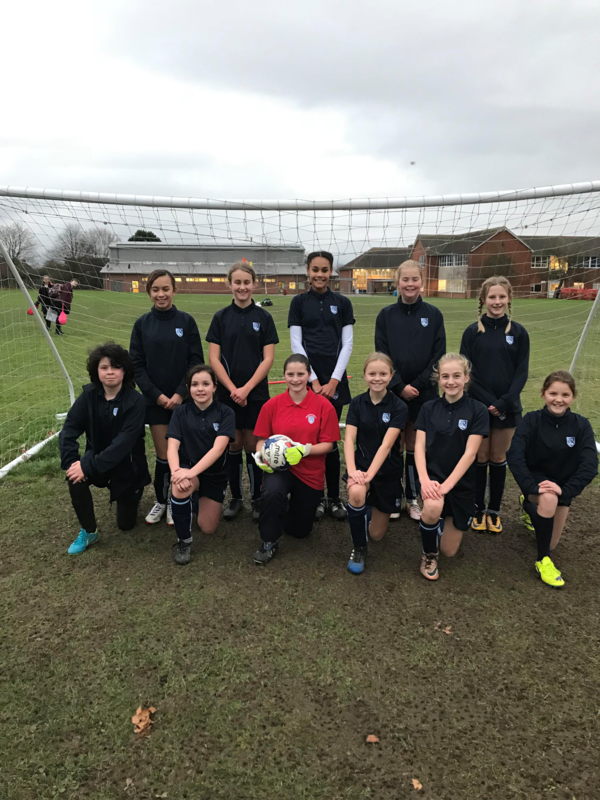 On Tuesday 5th December, the U13 B Football team played our first home-game of the year against a strong side from King Alfred's Academy. The game started slowly with both teams creating chances and DGS having most possession, only to go in at half time with a score of 0-0. After half time, two substitutions were made, and within 5 minutes DGS took the lead with a right-footed shot from inside the penalty area from Bethany Davies. King Alfred’s Academy equalised through a lapse in concentration on our part. DGS then gained the advantage again with a left-footed volley from inside the box from Lily Norton, after a good pass from Bethany Wright. Unfortunately, with five minutes to go, the opposition managed to run through the defence and equalise. It was a great second game for the team with lots of positives to take away. The game ended with a score of 2-2. The team were a credit to themselves and the school, playing some fantastic netball in a highly disciplined manner. We look forward to many more friendlies in the upcoming terms. Congratulations to Ellie Taylor, Kate Millar, Vanessa Taylor, Erin Strange, Hannah O'Dea, Georgia Haworth, Katherine Burn and Molly Strange. The U12 Football Team arrived at Wallingford School on Wednesday afternoon, excited for our first game playing for DGS. The first game saw Wallingford have most of the possession and gain the lead half way through the match which was unfortunately closely followed by another two. This was despite our team having a number of shots at the opponent's goal. We played a second game, which saw some improvement from the DGS girls. We drew the second game 0-0 and saw some excellent defensive work, positioning and maintaining possession of the ball. For our first ever games this was a promising start to our season. Girl of the match went to Selina who played amazing in the position as central midfielder by working hard for the team. Well done! 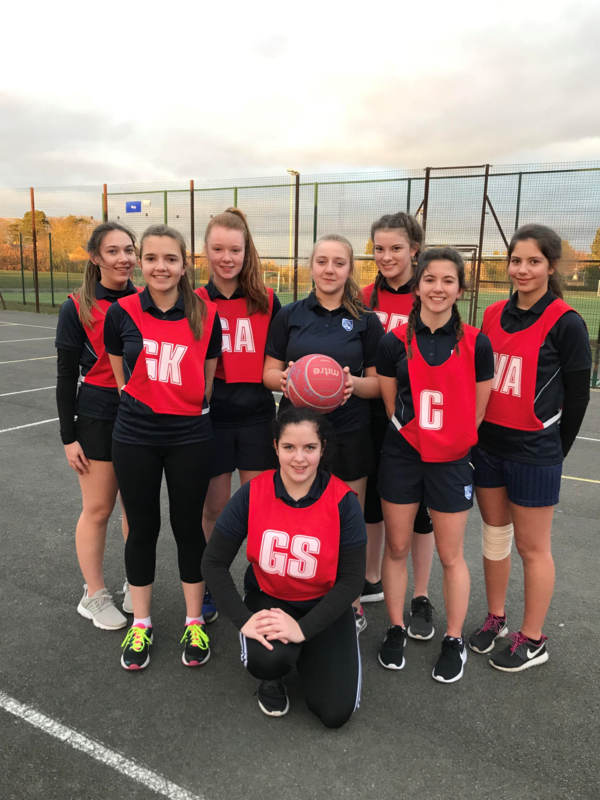 On Monday 13th November, the DGS U19 Netball team played The Cherwell School in a friendly match. The girls started strong, creating good options on court, and delivering great passages of play in to attack. The final score was 56-7 to DGS, and player of the match was awarded to Erin Strange. 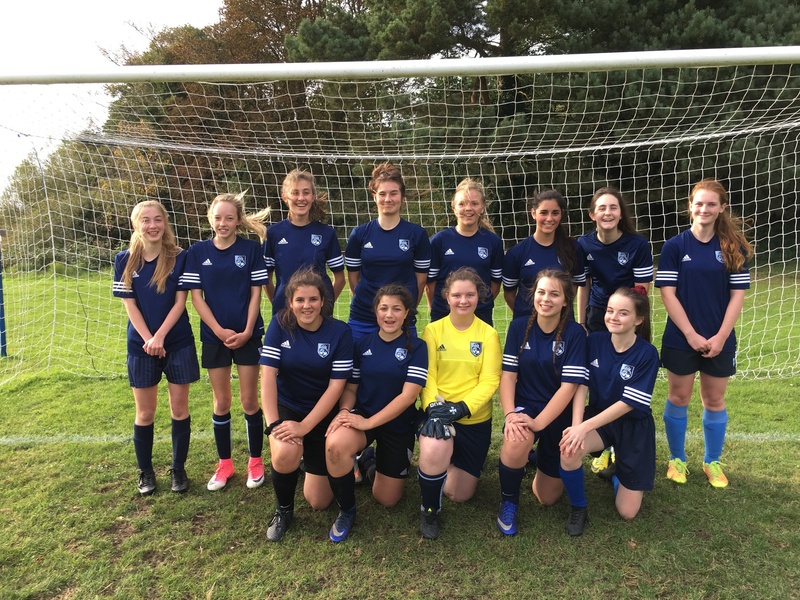 The team are competing at the U19 County Schools tournament on Saturday 2nd December - good luck, girls! On Monday 6th November, DGS hosted King Alfred's U14 Netball team for their first friendly match of the season. The team played well, trying out various player combinations and the shooting was impressive! DGS secured a convincing win of 33-3 and Player of the Match was awarded to Phoebe Maslen. 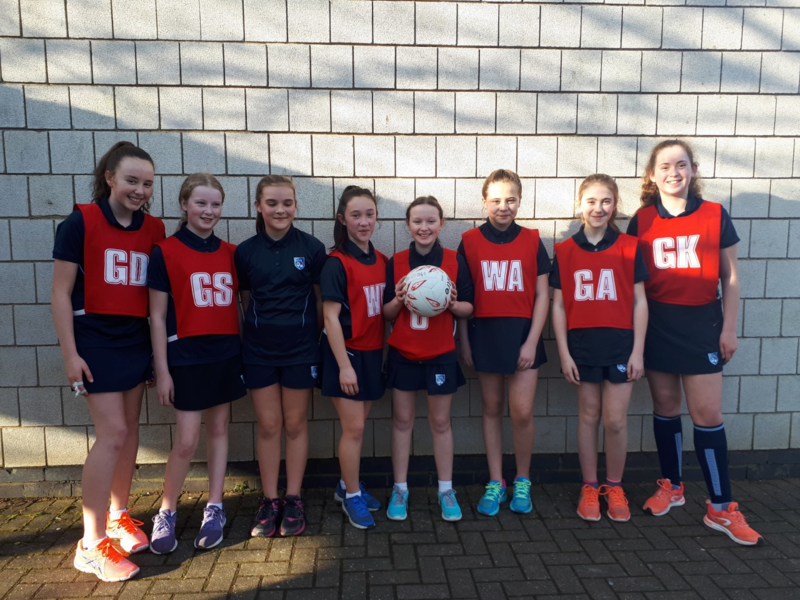 Congratulations to the team: Rosie Park (C), Phoebe Maslen, Seren Fullbrook, Gen Carey, Izzy Langley, Hannah Muddiman, Jorja Smith, Hana Taylor, Izzy Driscoll, Laura Millar and Celena Appleby-Prince. On Monday 30th October our U19 Netball team faced Henley College in their first friendly this season. 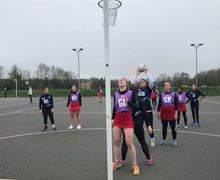 The team worked hard to deliver quality netball, both in attack and defence. After numerous turnover balls, being safely converted to goals with some fantastic shooting from Georgia and Erin, DGS secured the win of 32-25. An impressive performance of fantastic netball! Thank you to all the supporters, cheering the girls on from the side lines! Our next fixture is against Cherwell School on Monday 6th November at Home. On Thursday 12th October, Cherwell School visited DGS with their Year 8 and 9 Netball team for a pre-season friendly. The Year 8 team had an impressive turnout of players which allowed us to try lots of different player combinations. The team gelled well in both attack and defence, and the game finished with a win for DGS 11-6. Player of the match was awarded to Laura Millar (8LXM). The Year 9 team also had a good game and everyone worked really hard, leading to a 15-5 win. The teamwork was brilliant and it was fantastic that 14 players attended the session in order to play. Player of the match was awarded to Izzy Driscoll (9EXH) because she was extremely versatile, made numerous interceptions and applied maximum effort throughout. Well done to all students who took part in this fixture and we look forward to many more in the future. A special mention to our Year 11 students who did a fantastic job umpiring the games. 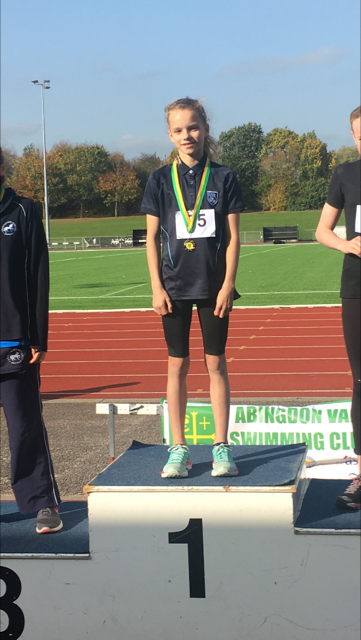 Amber Collins-Freeman (7NHM) took part in the Pentathlon GB Abingdon Vale Biathlon time trials, this involved a 50m swim and an 800m run. Amber won a Gold medal - Congratulations! U16 Football team kick-start County Cup campaign with 12-0 victory! The team of 13 travelled to Oxford Spires Academy in the first round of the county cup. They started off well and had the vast majority of possession, applying pressure on to Spires’ back line who did well to fill the box and get bodies in the way of any of DGS’ strikes. Our first sign of threat came from central midfielder Farah Khan who fired the ball into the cross bar. Once DGS found their flow, the goals started to come. Nia Geary-Andrews hit two 30 yard free kicks past a helpless goalkeeper, and finished off her hat-trick by tucking away a corner from Jevon Brown. Lauren Reynolds played havoc down the left wing, and her hard work was rewarded as she took on three players and placed the ball into the bottom left corner. Tala Odeh had a fantastic work ethic throughout and cut in from the right wing to put the ball into the back of the net. Jevon Brown and Bonnie Lynn worked well in midfield, creating a number of assists, and Jevon found the back of the net too. Farah Khan matched Nia with getting a hat-trick herself, with two one-on-ones, and a coolly placed tap-in. Versatile Izzy Butler played across the back line as well as a short stint in centre midfield, where she instantly made an impact by getting her name on the score sheet twice. Shannon Sadler also showed her versatility playing across the midfield; her speed and skill outwitted Spires' defence as she darted through the back line and past a flat-footed keeper. Abi Swindells, Ella Williams, Nia and Mia Doran held a good back line. Despite the score line the girls kept their discipline and were able to cancel out any of Spires attacks. Goalkeeper Emily Tyler was called into action a few times and pulled off some good saves to keep a well deserved clean sheet. A good team effort, shown with the array of goals and goal scorers to complete a 12-0 victory. There’s still plenty more to come from this team, and with more playing minutes under their belt they’ll continue to go from strength to strength as the opposition and demands get tougher in the forthcoming rounds. U13 Football team achieve sensational win in first home game. Monday 25th September saw the U13 Football team make their debut in the ESFA national cup. It was also the first time DGS have hosted a home football match on our 9v9 pitch as we welcomed Oxford Academy, a school well known for strong football teams across all age groups. Not only did DGS have the home advantage, the girls were extremely pleased to receive support from members of staff who had taken the time to come out and spur the team on! The girls started the game well, applying pressure from the start of the game, getting the ball into the final third, but unable to get through Oxford’s deep defence to execute a shot. After 7 minutes of continual threats and a few wide shots, the girls began to find their attacking flow. Ellie White opened the scoring with some neat footwork and a coolly placed shot into the bottom corner. 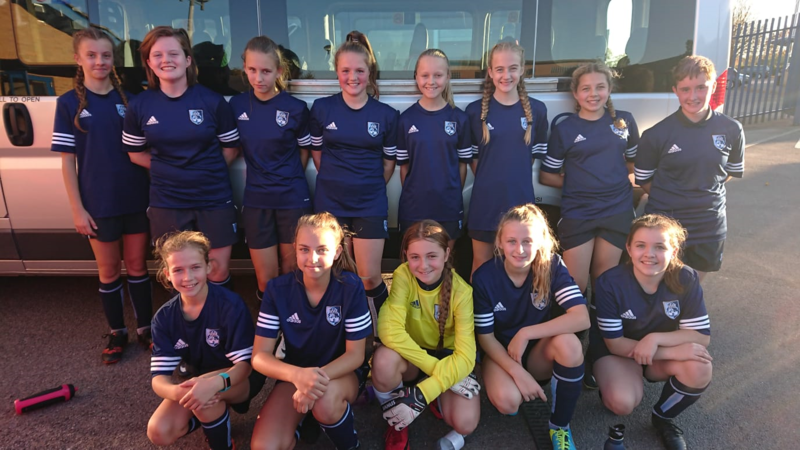 Thalia and Ellie did a great job in winning the ball high up the pitch, and Thalia began to pull all the strings in her central midfield role. Constantly looking threatening, Thalia completed a solo effort by drilling the ball past the goalkeeper to open her goal-scoring account. From then on in, the flood gates had opened; Ellie scored her second of the afternoon, and Thalia found the net 3 more times to complete her hat-trick before scoring her fifth with a beautifully taken half volley which rocketed past the helpless defence and keeper. Not to be outdone, winger Rebecca Agg deservedly found her name on the score sheet after creating plenty of goal-scoring opportunities and assists for her team mates. Credit to Oxford for maintaining effort and remaining undeterred in a game which was played in good spirit. A fantastic display from the U13s who are inspired by DGS previous successes in the national cup. The team look forward to an away draw to Blessed Hugh Faringdon Catholic School in Reading. We now wait to see if we have qualified for the national round, which will be held at the London Aquatic Centre in November - fingers crossed! Congratulations to the following swimmers; Juniors: Amber Collins-Freeman, Kelsey Sym, Maddy Langley, Theo Wornham & Rebecca Elms. Intermediates: Izzy Langley, Millie Dickinson, Sophie Martin & Alice Bracher. Theodora Wornham competes in Pentathlon GB Schools' Modern Biahtlon Championship. Congratulations to Theodora Wornham who took part in the Pentathlon GB Schools' Modern Biathlon Championships at Crystal Palace at the weekend. She finished 40th overall out of a field of 83, her swim was the 20th fastest. On Tuesday 14th of March, the new U15 cricket team headed off to Blackbird Leys to face schools in the Oxfordshire’s Chance to Shine cricket tournament. The girls were energetic and supported one another all day. We faced Burford school first, walking away with a win. Next up was our rivals St Helens and St Catherine’s who we lost to in a tight match. Finally, we faced Oxford High school where we lost again. The whole team played their best, and a special well done goes to Hermione Jewell and Millie Dickinson who played exceptionally well for their first cricket match. On Thursday 9th March our Year 10 and 11 County Badminton winners went to Guildford to compete in the regional round of the competition. There were 8 schools competing and play began in two rounds of pools. Our girls won all of their group matches, beating Folkestone Girls 5-0; Sir William Perkins 3-2; and Warden Park 4-1. This meant that they progressed into the semi-finals facing Aylesbury Vale. Despite a fabulous team effort, the girls narrowly lost 3-2. This led to a play-off for 3rd place, where our girls took on Sir William Perkins for the second time, this time winning 4-1. This resulted in an excellent 3rd place for the team. The PE department would like to say a huge thank you to Mrs Marriott for taking the girls to Guildford and team managing throughout the day. The girls all performed really well, behaved in a sporting manner at all times and were very supportive of each other - well done!